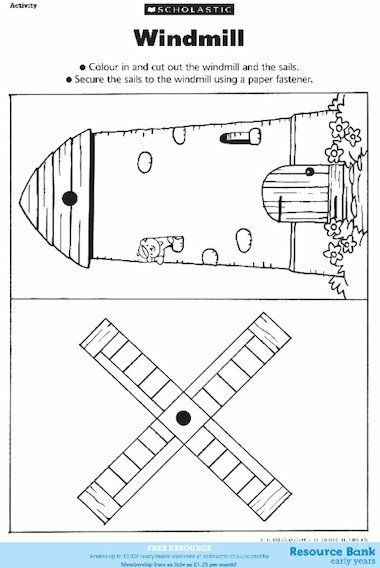 Colour in and cut out the windmill and the sails. Secure the sails to the windmill using a paper fastener. Super! Going to use with a phonic activity, teaching the ‘w’ sound. Thanks Scholastic!